Welcome back to Workspace Wednesday. I've devoted each Wednesday to discuss something about my workspace. Today I'm talking about organization..or lack there of in my case most of the time. I've been around crafting all my life but have been heavily into the scrapbooking and cardmaking world for about 17 years. 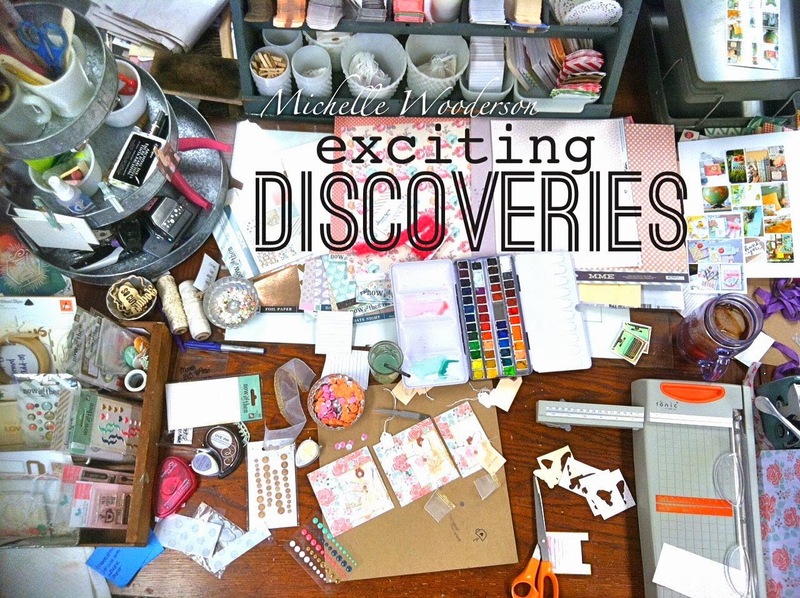 I've seen more supplies come and go in and out of my craft room than you can shake a stick at. I find it fascinating to peek into the lives of others to learn about their organizational solutions. 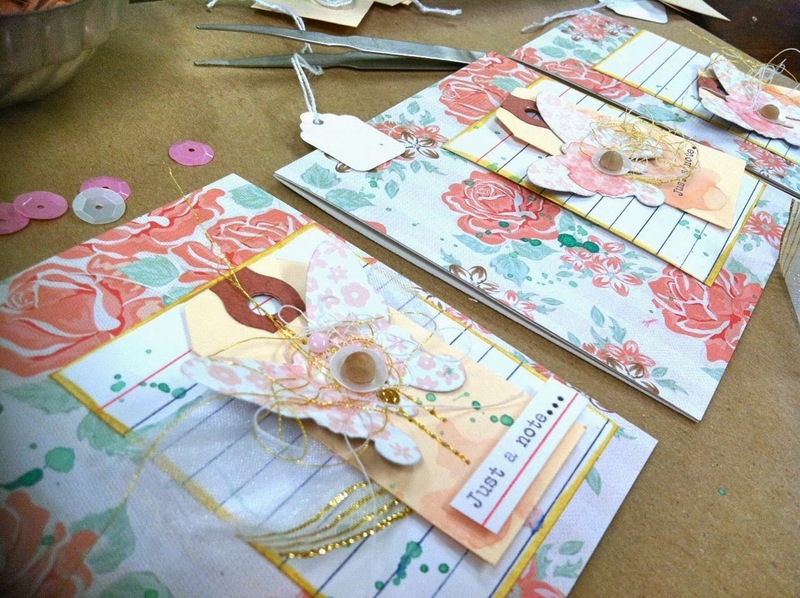 It seems to be just as enjoyable as our paper crafting hobbies. I have discovered a few things about my organizing ways. I find that sometimes specific items are grouped together and I know right where they are. Other things are stacked in organized piles and sit for months on end. That's pretty much how I roll with everything in my house....and I don't sweat it. Let's discuss a few examples of my organization. For my Project Life, I clean off my table and have very little visual clutter when I begin a week. You can see the photos here of that organization. I think it's because I have an actual plan of what I'm working with from the beginning. I can keep things condensed. But now let's discuss card making. For this process, I might have a sketch or previous project to refer to sometimes but usually I am craving inspiration. I need "stuff" around me to inspire me..to get those creative juices flowing. The photo below is straight from my work table this week. 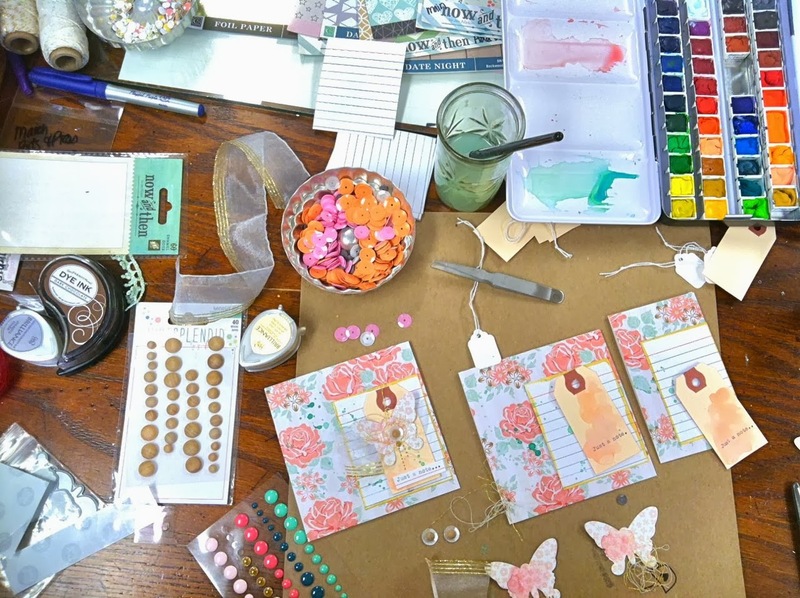 You're getting a sneak peek at some March Gossamer Blue products at work. Once I'm done with my assigned projects, everything gets scattered about on my table. I need to see those pretty patterns and colors. I love to see all of those embellishments. Seeing those watercolors out makes me happy. It may look like a big hot mess when you look at the big picture......but then something begins to happen. A closer look shows that there is some creativity brewing. Products are being gathered. Some bits of a project are coming together. There's a little order amongst all that organized chaos. Before you know it, some finished projects are emerging. The smallest of bits and pieces are finding their way onto what appears to be cards this time around. One by one, that's how projects happen for me. A little something catches my eye. I find a scrap of my favorite patterned paper or a little snippet of ribbon...or a few sequins that would finish off a project beautifully. It's amongst those little piles that I keep the process going. I keep creating. I keep making stuff. I keep discovering......I hope you do too. Thank you for sharing your personal space.....your work is always so inspirational too! 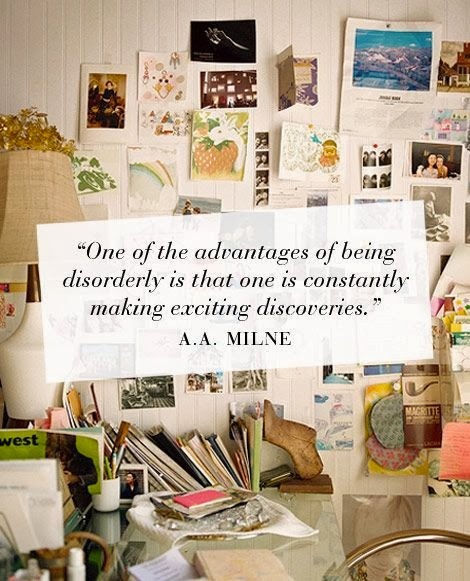 I love quotes too and need a way to organize them; thinking of a mini-album or altered book to house them all. Love that quote...so fitting! Thanks for sharing your space. I look forward to hearing about your organization and ideas. Hope you're staying warm! Have a great weekend. Ahh, your desk looks just like mine when I'm creating. It drives me crazy, but that's just how I work!